If you (or your organisation) are interested in buying a low-cost refurbished computer, just get in touch to discuss what you are looking for. 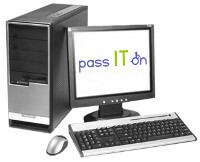 E-mail admin@passitoncomputers.co.uk or call us on 0131 476 1645. All equipment is PAT tested for electrical safety before being sold, and all base units and monitors have a 30 day money back guarantee. Remember, anyone can buy a computer from us – you do not have to have a disability. The funds we raise go directly back into our work supplying adapted computers free to disabled people in Edinburgh. Purchased computers can only be collected from our workshop in Edinburgh – we aren’t able to offer a delivery service. As a Microsoft Registered Refurbisher, we can install Windows 10 Professional and Office 2010 Citizenship software licenses on refurbished computers that we sell. 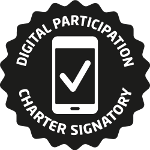 (NB: Office 2010 is not available for educational establishments). We do not sell software separately.